Before school ended last month, I made a baby boy card for the custodian at our elementary school. He became a first-time grandpa, and I just had to get the baby a little somethin'. While I was making his card, I created several more for Arts Plus, the shop where I sell my cards. 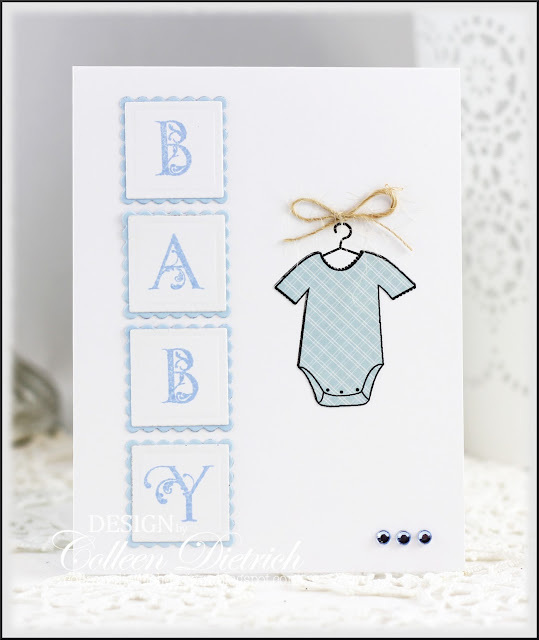 This baby boy card is entering at Lawnscaping - "Paper Piecing", and Addicted To Stamps - "CAS" and 4 Crafty Chicks - "Let's Hear It For The Boys." And the little princess card is entering here: In The Pink - "Pink and Pearlie"; Charisma Cardz - "Girly". It was almost like playing paper dolls! Used to love that when I was little, and my girls did, too. How about you? Colleen, deine Karten sind immer etwas ganz Besonderes. These are gorgeous!! LOVING those outfits!!! These are toooooo cute and sweet! I really love your ideas and design. Thanks for joining us this week at ATSM! The cards are very sweet. I love them. Thanks for joining us at In The Pink! Thanks for playing our "Here it for the Boys" Challenge at 4 Crafty Chicks, great job! Wonderful baby cards, and so quick and easy to create! I need something like this, but I'd probably just go overboard, anyway. 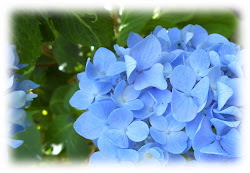 I just came from your Bleu Hydrangea blog and was completely enchanted! I always love ot look at baby car diwth onesies and cute lttle irl dresses. This is so sweet! Love the type of the stamps! 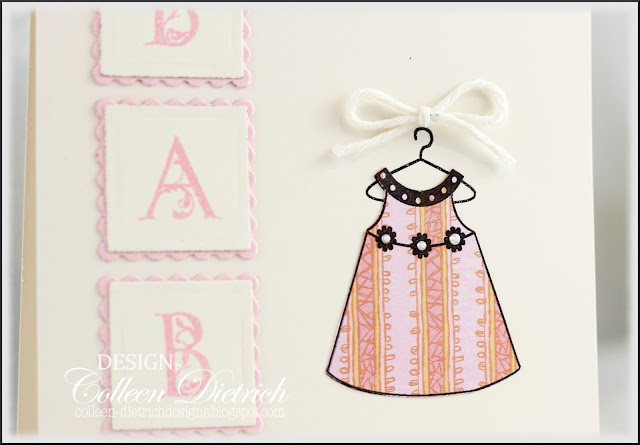 Beautiful baby cards, Colleen! Every single one of them...darling and sweet! 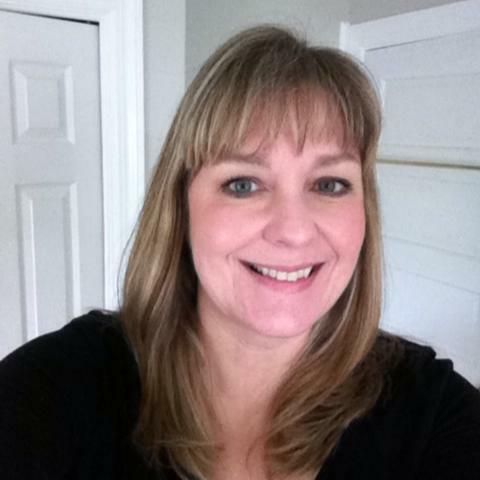 Hope you are recuperative well from surgery! Take care, hugs! Such Fantastic baby cards, Colleen! Such cute, cute cards, Colleen!!! So sweet and simple!! Love the design! As baby cards go, Colleen, these are CASlicious, each and every one! What a perfect design and what flawless execution! They will fly out of your shop!! Amazing... each just a tad different but all so darling! You must sell tons of cards... they're always so beautifully done!!!! Have a wonderful evening, Colleen! Love how you changed up each card. the colors, layouts of the boy cards are simple, clean and very fabulous. Thank you so much for sharing your amazing creation with us at 4 Crafty Chicks. aww these are so sweet..
Awww....these are adorable! Sure to fly off the shelves! How cute Colleen. The paper pieced clothes are just darling. These are wonderful and look so different even though they are basically similar. Sweet idea. Hugz!